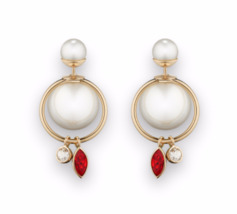 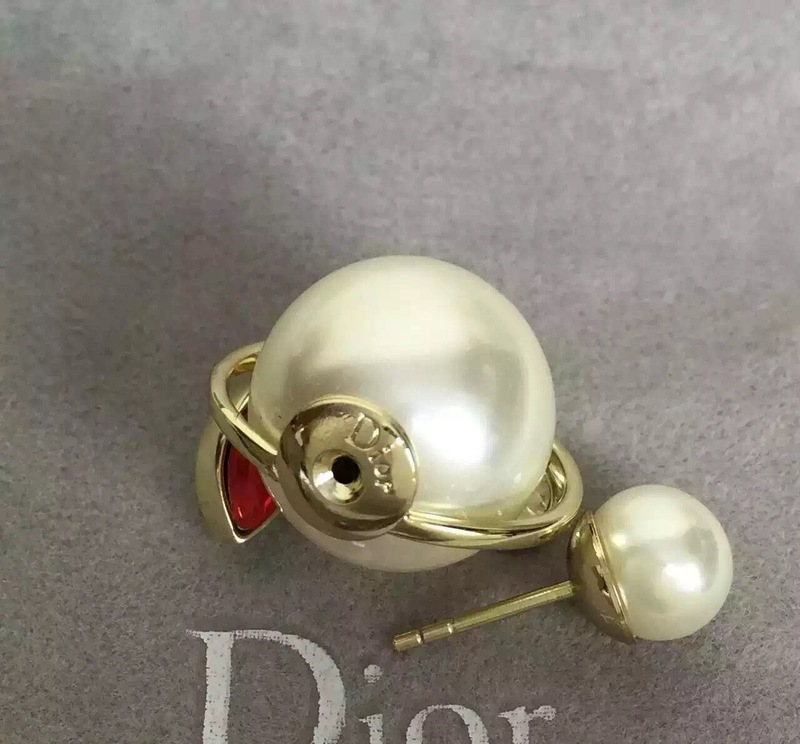 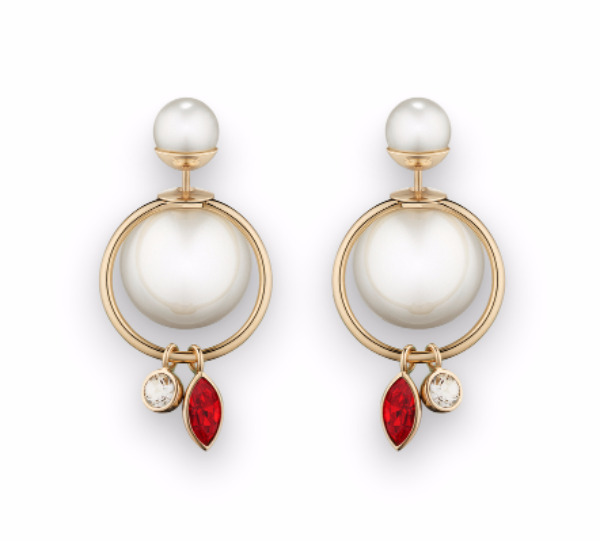 New edition of the Dior Tribal earring - smaller orbs lay in the front of the ear, larger golden orbs surrounded with golden tone hoops. 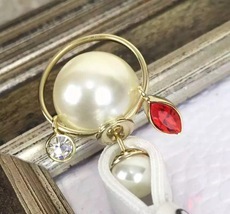 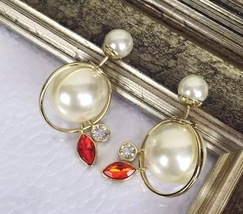 A small golden marquee shaped and round crystal charms hang off the back hoops. 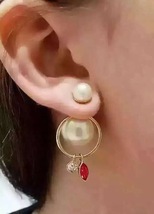 Earrings are posts, and measure 1.25" in length. 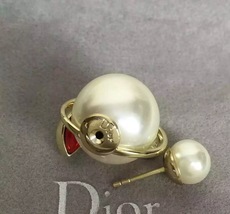 Comes with Dior box only. 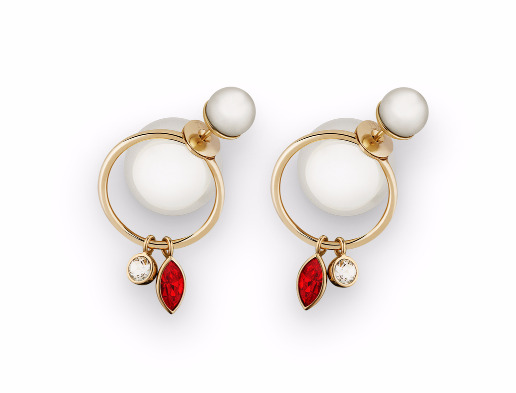 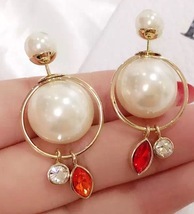 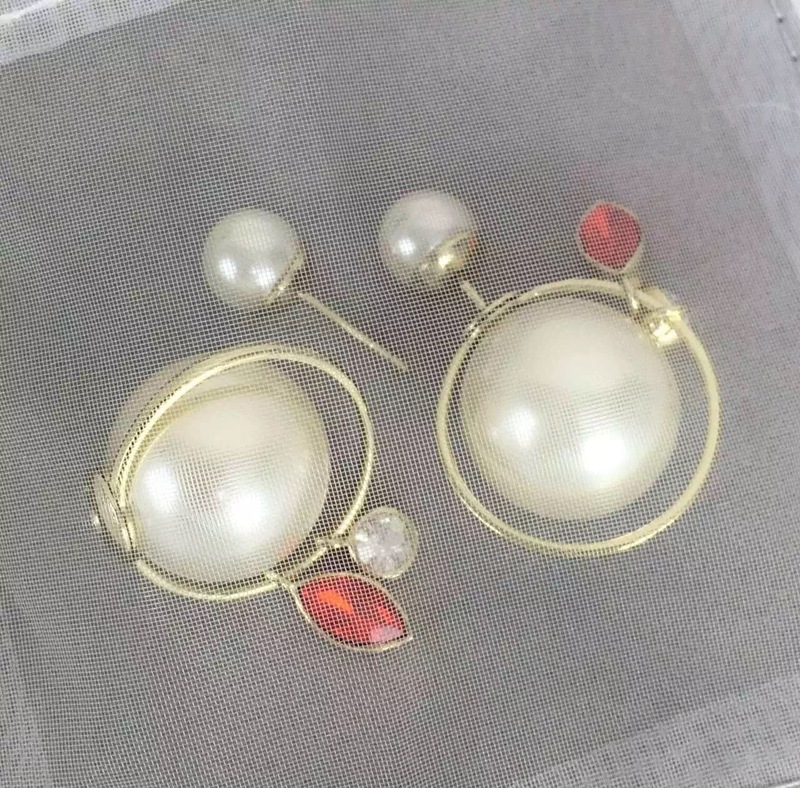 A very unique and special pair of earrings.